Synopsis: Winter, 1564. Beautiful young Princess Margot is summoned to the court of France, where nothing is what it seems and a wrong word can lead to ruin. Known across Europe as Madame la Serpente, Margot’s intimidating mother, Queen Catherine de Médicis, is a powerful force in a country devastated by religious war. 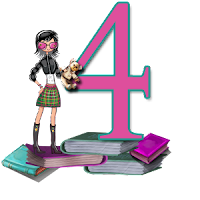 Among the crafty nobility of the royal court, Margot learns the intriguing and unspoken rules she must live by to please her poisonous family. I love historical fiction and France's history in particular is rich, vivid and endlessly fascinating. 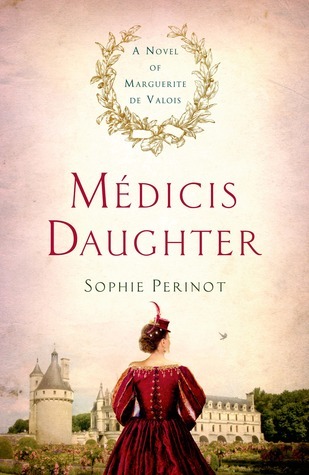 I've read a few novels focused on the formidable Catherine de Medici but this was my first look at the early life of her daughter Marguerite and my first Sophie Perinot novel. Definitely a positive experience. The story is told from the first person perspective of Marguerite (Margo) and her relationships with her Valois family are front and centre. Mother Catherine de Medici, brothers King Charles IX and Henri Duc d'Anjou (Anjou) ... what a viper's nest. In this coming-of-age story we follow Marguerite from relative obscurity and innocence to a place at court, in love with the unsuitable Henri, Duc de Guise, a pawn in her family's power struggles and finally in political alliance her marriage to Henri, King of Navarre. He smiles again, then looks at me questioningly. "Whatever possessed you to wear that awful wig?" "The same demon, Sir, that goaded you to wear yellow." I can't help myself: I laugh. There is a real sense of Marguerite's growth as the novel progresses, fueled by the machinations and ill-treatment by her family, naivety fast becomes awareness and intelligence and a strong moral compass hold her in good stead challenging her family in doing what she believes is right. Set during the throes of the Wars of Religion and culminating in the horrific Saint Bartholomew's Day massacre the slaughter of thousands of Heuguenots (Protestants) viewing this through Marguerite's eyes added a different perspective. Well written and researched, Perinot does justice to the colorful and bloody history and its players. I thoroughly enjoyed Médicis Daughter. Now to hunt down The Sister Queens, I don't think you can OD on French historical fiction. I hope I can track this down. Sounds really good. This sounds fantastic! I love that not only do we get to see this history we get to see the character grow. I'll definitely be looking for this one! Yay Katherine, hope you enjoy it as much as I did! she's quite fascinating, I can't believe I haven't read about her before now! Seems like an excellent window into the history of that time. While not so keen a reader as you are by historical fiction, I can see how it would be fascinating. All I have to say is so glad I didn't live in those times in France. Oh this sounds interesting, and I love that it shows her time in court.